With all their small pieces and often numerous pieces of paper, board games can easy become disorganized. Family game night just isn't the same if you can't find all the parts to your favorite game. This is a guide to organizing board games. When my family purchases new games with game boards, before they play the first game, I use wide, clear packing tape and reinforce corners of both the bottom and top of the game box, and any inserts inside the box. I also place a strip of tape down the back side of the folded gameboard to give it extra strength - no more broken boards or untidy, ruined boxes! I then place as many as needed ziplock bags into the box to store games pieces after use. This really extends the life of the game for many generations! Games are expensive these days - try it! Use your Lazy Susan for board games, so you can spin the game around for easier viewing for each player's turn. 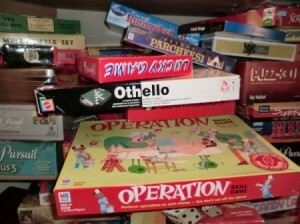 My daughter has lots of board games. Eventually, the boxes get torn and pieces get lost. I purchased a large plastic container with a lid to hold the boards, and put all the game pieces and instructions into individual ziplock bags and into the container. Now all the board games are stored together with no missing pieces. You can also do this with puzzles. Just cut the picture off the puzzle box and store it in a container with a bag of the puzzle pieces. As a grad student, I find myself taking pieces out of miscellaneous children's games to use in therapy. At the end of the day, I have small plastic bags of pieces, some with instructions and original containers, some without. After a while, it becomes confusing. I decided to make a copy of the instructions for all the games and put them in a centrally located loose leaf notebook binder. If need be, I can make copies from this binder to include in the small bags. The miscellaneous pieces may not make it back to their original containers, but at least I have the instructions and the title of the games for reference and future clean up. I love these old plastic cases that blankets come in. 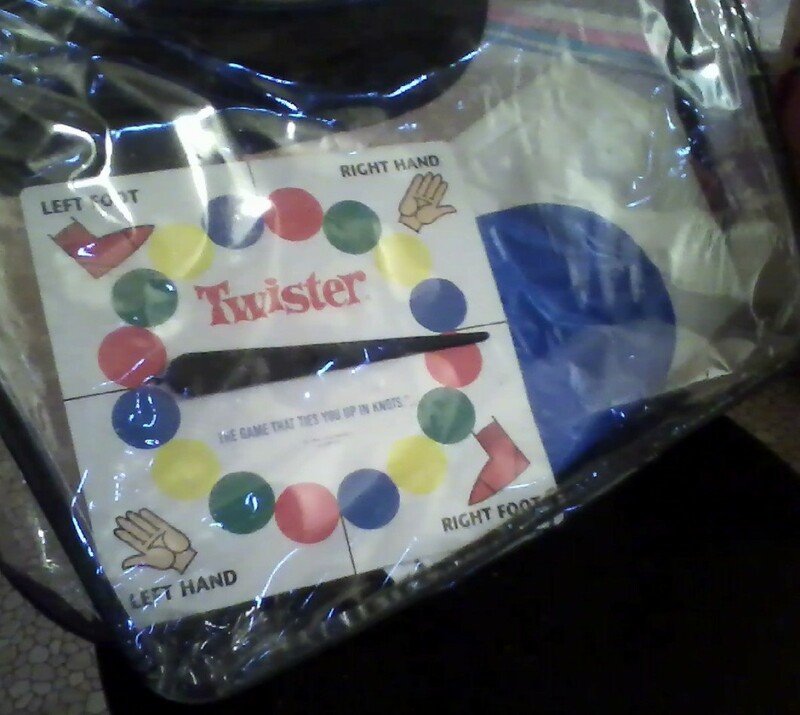 I have found they store a Twister game quite nicely! It is our favorite birthday party game! 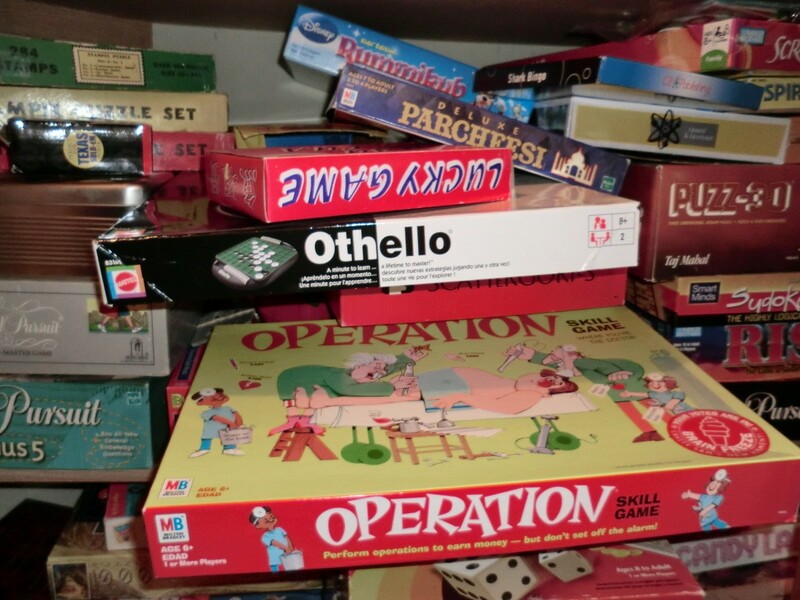 To organize your board games, gather appropriate materials: snack bags, sandwich-size bags with a zipper, a marking pen, Scotch Brand Invisible Tape, and the right shelf space in the closet, or cupboard.